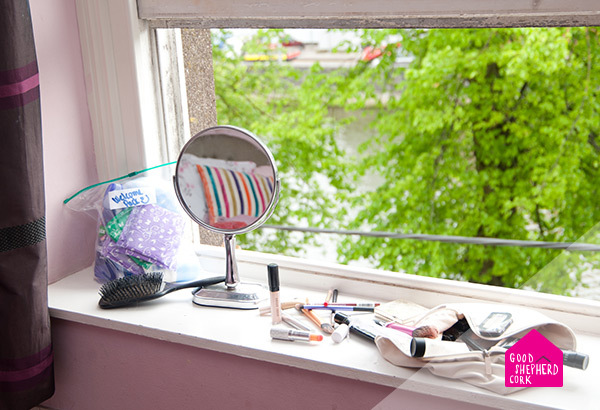 Good Shepherd Cork offer residential accommodation to teenage girls between the ages of 15 and 19, who are out of home. Each girl has their own room, there is a communal kitchen and living room and staff are present 24 hours a day. Our ultimate goal is to help girls achieve greater resilience and wellbeing. Key workers engage on a one to one basis with each girl to help them to resolve issues and to move on to independent living or to return to their families, whichever is most appropriate. As in all Good Shepherd Cork projects, our approach is non-judgmental, multi-layered and recognises that each human being is different with their own specific needs. We can accommodate six girls at any one time. Placements are allocated for a maximum of six months. Two placements are specifically for 18-19-year-old girls and are allocated on a planned basis. Four placements are specifically for 15-17-year-old girls and can be accessed on an emergency or planned basis. Girls who are in Residential Care will often access other Good Shepherd Cork services, such as our aftercare and support, or education and training programmes to gain the skills and support they need through education, life skills, advocacy and social support. When girls are ready to move on, if they are not returning to the family home, staff will work with statutory and voluntary bodies to find suitable accommodation. Once girls have moved on they still have access to a range of Good Shepherd Cork support services including weekly support groups, as well as Health Promotion, youth club “Henrietta’s” for arts & crafts, cooking nights, films, and fun social activities and a nail bar where girls can practice professional skills and enjoy socialising together.